Lenten reflection: April 3rd, 2019. Welcome to our fifth reflection for Lent 2019. We are Reading, Thinking, and Praying our way towards Easter. We continue to ponder The Parable of the Hidden Treasure and the Pearl, and now we’ll focus on the second aspect, the Pearl. Our FEBC focus this Easter is on Persecuted Minorities in Thailand, Laos, Vietnam, and Southern China. These devotional thoughts are to inspire your own life, and fuel prayers for various people groups in Southeast Asia. Peoples to whom we broadcast the good news of Jesus Christ, thanks to your support. 13:44 “The kingdom of heaven is like treasure hidden in a field. When a man found it, he hid it again, and then in his joy went and sold all he had and bought that field. 13:45 “Again, the kingdom of heaven is like a merchant looking for fine pearls. 46 When he found one of great value, he went away and sold everything he had and bought it. The pearl merchant is a seeker. He thinks about pearls and looks closely at them most days. People are intrinsically spiritual and to varying degrees are receptive to good ideas about reality. Naturally, some people’s search for truth is almost invisible, while others are constantly on the lookout for new ideas. Like a pearl merchant, some people will spend decades trading in ordinary merchandise. Then one day, seemingly out of the blue, they’ll stumble across something truly extraordinary, like the pearl of great value. But they recognise it’s worth immediately, and in that moment everything else in their life is up for renegotiation. All their previous thoughts about reality and truth (all their other “pearls”) are to be liquidated in order to obtain this new one. The merchant could only afford to have this new pearl in their life by selling all the others. Unlike the worker in the previous parable who bought the field and gained the treasure like a bonus, in this parable the merchant paid the asking price to own the pearl. The story is different but the lesson is the same: when we comprehend the true value of the kingdom of heaven, we will gladly exchange everything else we posses in order to have it. So, the issue is recognising the worth of the kingdom of heaven. Jesus is not looking for our religious exertion or effort, nor is he interested in selling us eternity at a fair price. Easter is the illustration of a truly Gracious God who exerts himself on behalf of those who love him. He is the God who pays the price for all peoples to have the treasure of the kingdom of heaven, and the valuable pearl. The parable says – seek me, find me, recognise me, and make me your most treasured thing, and I will give you eternal life. He loves those who seek him, and promises to be found (Matthew 7:7-8). One wins eternal life after a struggle of years, another finds it in one hour. Please pray for seekers and finders among the nations. Pray: for the Bahnar people of Southeast Asia. 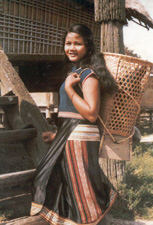 The Bahnar are a Mon-Khmer people meaning their language is derived from the Cambodian Khmer and the Mon of Myanmar. Their religion is a mixture of spirit worship and animistic practices rooted in their ethnicity. This means that to change any ideas and behaviours is to turn your back on your people. listeners will recognise the liberating truth of Jesus immediately, and know that following Jesus is worth it! listeners will ask God questions and seek answers to their deepest longings for love, joy and peace. programmers will tell the stories of the Bible with great creativity and love, and that many more will hear and believe. those who are Christian because the village leadership are Christian, will recognise Jesus personally. 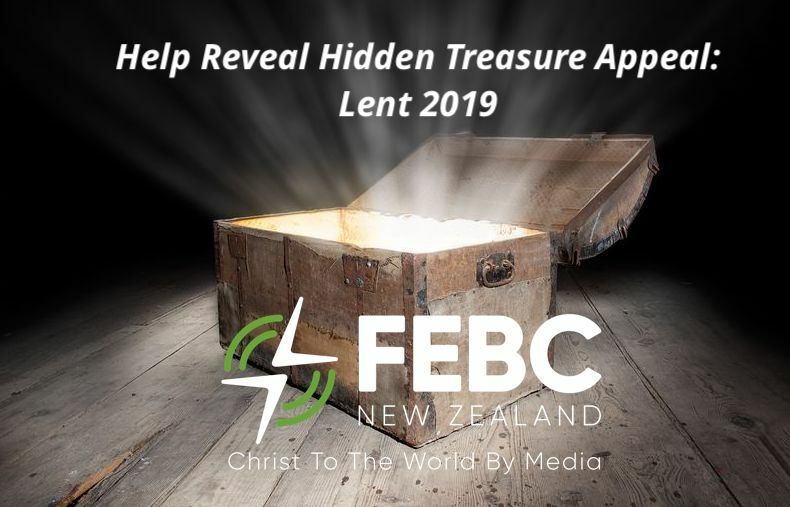 To donate for broadcasts to Persecuted Minorities in Southeast Asia and help reveal hidden treasure, please click the link below. Thanks and God bless, see you next Wednesday.